A huge tree for this species. 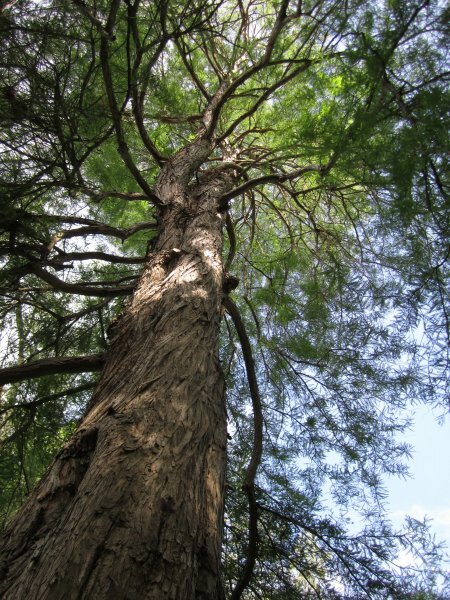 In China, trees this size are reported to be 400-500 years old. 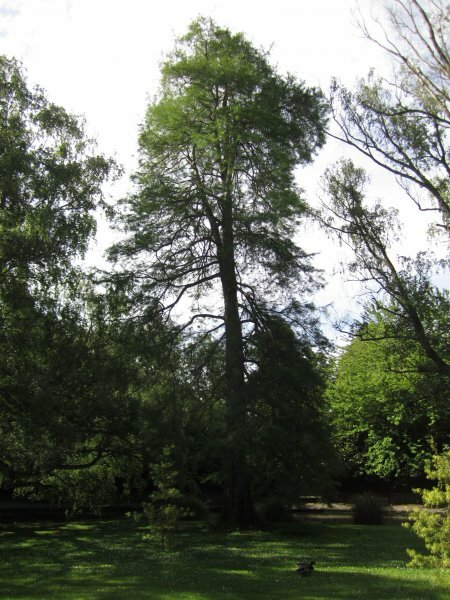 They typically produce 'knees' like Taxodium sp. but in this instance lawn mowing activity is preventing them from forming. There is a another slightly smaller specimen nearby (Cadwallader, B.G. 2013). In good health however considerable mechanical wounding to base (Nov 2012). 26 Dec 2012 Cadwallader, B.G. 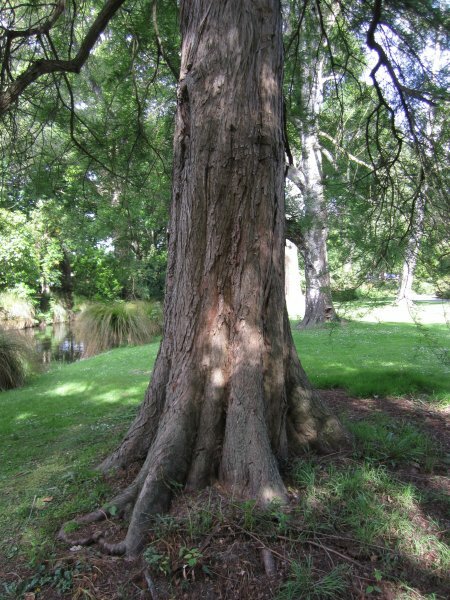 Located at the very northern end of the botanic garden beside the Avon River.